A decorative clear LED filament candle bulb with a BC/B22 cap for retro fitting into an existing fitting. This is a very energy efficient bulb using only 4 watts but providing around 470 lumens or the equivalent of about 40 standard watts. 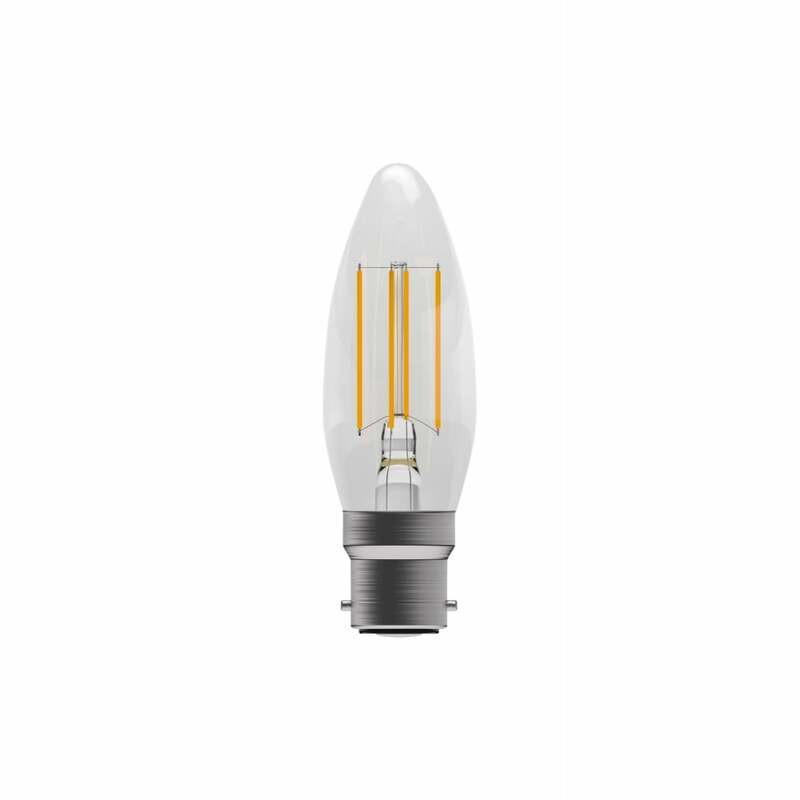 The clear filament design gives it the look of a standard bulb. Here at The Lighting Company we have a large and ever growing range of lighting to suit every setting. Browse the full range of light bulbs here: LED Bulbs.